Cones are ready-made empty joints. These king-size sleeves come with a tip, so you only need to fill it with smokables. Smoking cannabis, without rolling a joint. No time for, or not feeling like rolling a joint? Dutch-Headshop has the ideal solution for you. With cones and sleeves, rolling a joint yourself is a thing of the past. Cones are ready-to-use joints without contents. 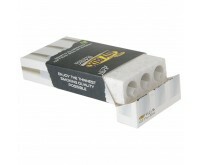 The joints come with a tip and the only thing to do is filling it with marijuana, hash or tobacco. Cones are ideal if you cannot, or do not want to roll. Cones are also called joint sleeves. Cones are available in many sizes. The size of a joint is very important for the smoker. As each smoker has its own preference regarding the size of a joint. The different sizes are shown below. The Cones at the Dutch-Headshop are made by two different producers, Futurola and Raw. Futurola is known for its quality and reliable rolling papers, and also its cones are of good quality. Futurola cones are made of ultra-thin paper. Furthermore, the cones come in a handy cardboard box, suitable to bring along your filled cones. Futurola offers cones in all of the above-mentioned sizes. Raw cones differ in color from Futurola cones. 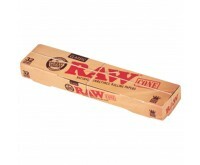 Raw cones are made of unbleached paper and have a light-brown color. For Raw it is important the production process is natural. Therefore, the cones are produced in a natural way. 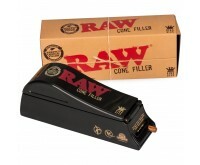 Raw cones come in the standard size of 109 mm. Filling a cone can be done manually, but there is much easier way to fill your cones. Cone fillers are perfectly suited to prepare your cones for smoking in just a few seconds. Below are the cone fillers available at the Dutch-Headshop. With each cone filler you can fill one or several cones easily and quickly. 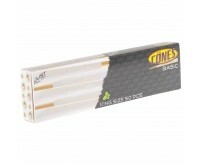 Save effort and time of rolling a joint and order your cones easily and quickly at the Dutch-Headshop. You are even better equipped with a cone filler and your joints are ready to use in no time.